27th Feb, 2015 nikho in kilom tah in kum 35 lhinna Centre Church, Sing ngat Thadou veng, ana kimang tai, Pu Rev. Ngamjapao Haokip General Secretary, KBC in Song hondoh na kin aneijin lamkai lui ho ja na leh geldoh na jong akineitai. 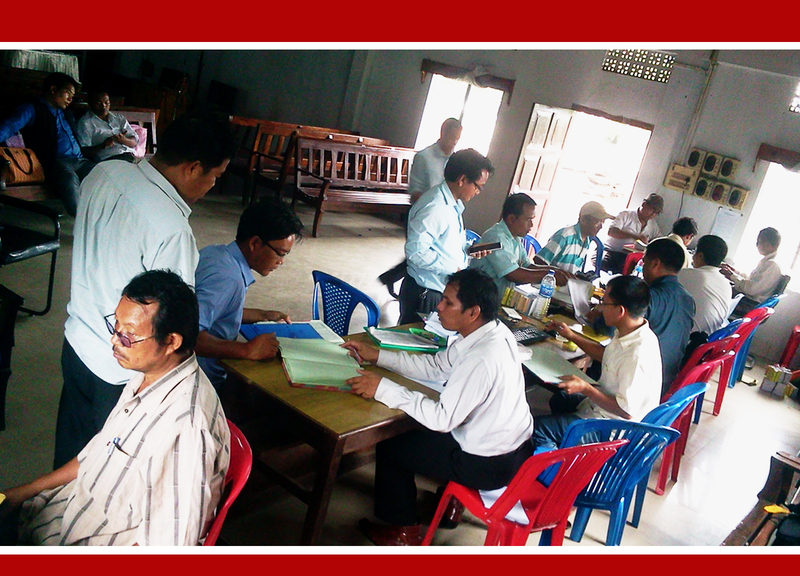 KBC Gambih No.17 Chassad Area, Conference chu Dt.6-9th Feb. 2015 sungin Maokot Baptist Church munna ana umin, Pathen lungset in boina ima umlouvin, ana kichaijin Pathen thangvah in um tahen. Nisim 24-2-2015 (Tuesday) nin Rev. Ngamjapao Haokip, General Secretary, KBC Kin thempu hinan Khengjoi Vangkho kum jani lhinna “Kho Song” chu ana kitungdoh tan ahi. Dt.05/01/2015 (Thursday) nin Kipgen veng Houbung kum 25th lhinna (Silver Jubilee) Songphuna kin chu lomtah le jana neitah in, General Secretary, Kuki Baptist Convention Kin Thempu hinan ana kimangtan ahi. Pathenin Houbung mite phatthei boh jing tahen. Date 06th July lha a pat in KBC Auditor mi get in Convention sung a audit bolding a lom jouse ahin bol pan un damsel in july 29 nikho chun mopohna dung juijin phatekei cha in ahin chaithei taove. hijong leh tunvang phaten akichaithei jin amaho jouse ponpan na ahijeh in achung uvah Convention in kipathu sang tah in aki phong e.
Convention in houbung 20 ho hi Center Church in kivaipohna noija aum in, amaho jousen jong phatecha in aphat u ahin homsohkei uvin, hiche chung ah boina behseh umlouvin abanneicha in boldinga kilom ho boltohna akinei tai. Auditor ho akon in tuchung thil chedan a kon in semphat thei ahilouleh semphat ding a pha point 8 jong Audit NOTE a ahin koilut uvin, achung uvah kipathu akiseije. Kuki Baptist Convention (KBC) General Assembly 18-20th February, 2015 sungin KBC Honorary Officer thah Term khat (2015- 2016) a dingin akilhengdohtai. 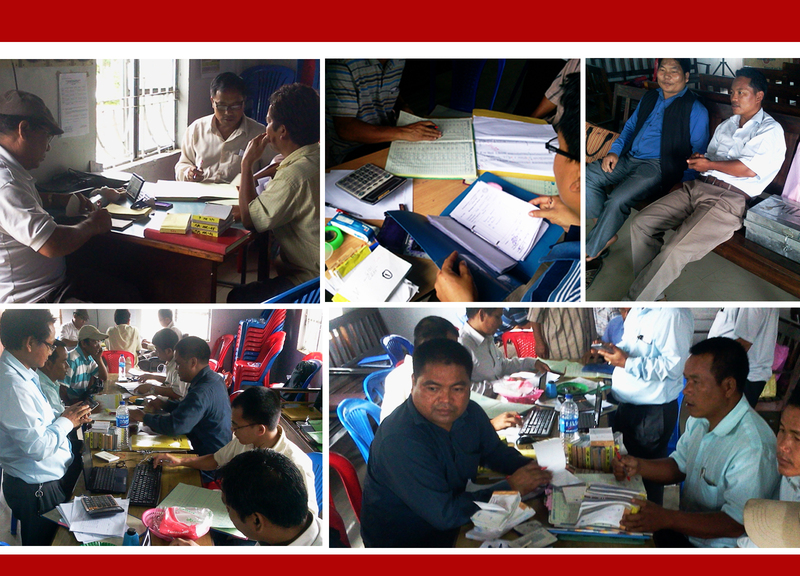 Hiche hin President apat a Committee ho, Board member ho, Auditor ho, Assembly Recorder ho chule adang dang Convention a mopohna neiding jouse ahopsoh kei ahin, agom a mi somget (80) lam lhing ahi. Tukum 2015 sunga jong Manipur munchomchom a Zakiah Ministry kineiding ahin lolhinna aum-a phaitol miho Pathen hepha nailou, kol, meilhei, pangal chuleh Nepali lah a Khoukhat ankong sokhompina kinei a Jesu Christa huhhing na thupha kiseiphong kitding ahi. Finance Department mopoh na noija Gambih jouse sunga Houbung lamkai le Gambih lamkai ho toh One Day Financial Consultative meeting hungkibol hi achelha jing in hiche tohgon hi gambih le Convention kikah a sumle pai semtohna ding a tohgon kinei ahin, tuchan in amachal jing in ahi. Mission work is the centre of focus for the Convention as its establishment. The department has is board members constitute by 7 members represented consisted among the workers and non worker members in the organisation. The Field coverage are catagorically sub-catagorised according to the geographic location and linguistic differences. Achieving gender equity is always critical. As women’s and men’s roles are socially constructed, the gender-based disparities exist that sometime disadvantage us in the fellowship; this issues are quiet necessary to addressed by them. Men are set to unleast the unvirogated state to spiritual spheres, As they are regarded responsible in family and all administrations. Women are empowered with different skill development programmes and active participant of all events and councils of the organization. The wing more over has took responsibility to the Childrens, that was not instituted on the convention's administration preliminarily, apart from the youth wing that rolled the main share. Advancing the role of youth and actively involving them in the sections of the convention. Mostly indulge in choir activities and energiest the churches in different perspectives. Litterature and Education are under the umbralla of Youth Department. Assisted by the assistant to work out their different projects.